It’s back! One of my favorite posts to work on all year! 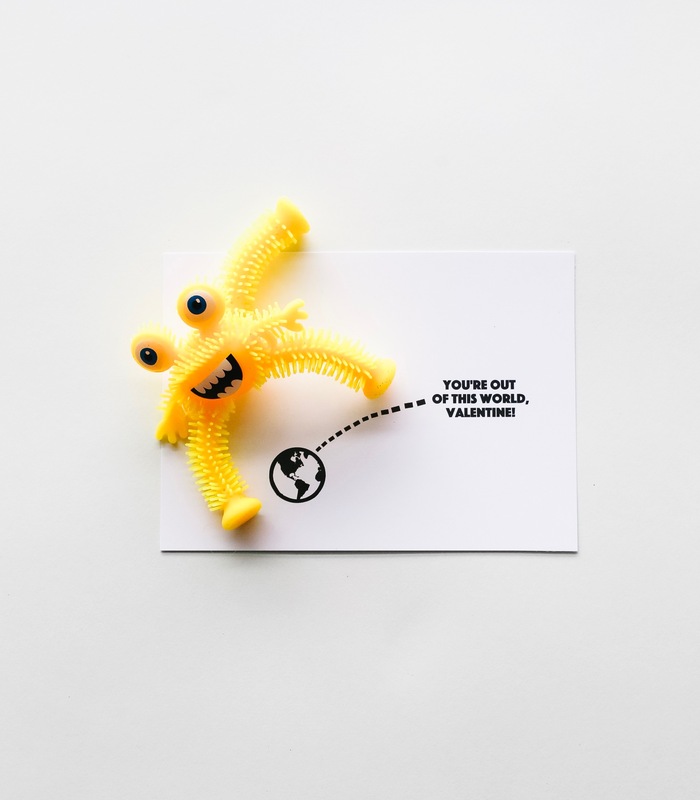 Each year since the beginning of Small Fry we’ve made printable Valentine’s and here are 5 more to add to the archives! I got these toys either at Dollar Tree or Walmart and my main purpose with the style of the printable is that you don’t need colored ink, you can easily swap out whatever color paper you choose, and the dimensions are flexible so if you find a toy or treat that you like more you can typically make it work with the way these will print off! AWFULLY FOND OF YOU! Saw these darling rubber duckies and couldn’t stray too far from the classic Sesame Street song! Ducks via Walmart. ONLINE SIMILAR: Yellow Set // Tons of Options here via Oriental Trading! TKO – You voted here’s what won! 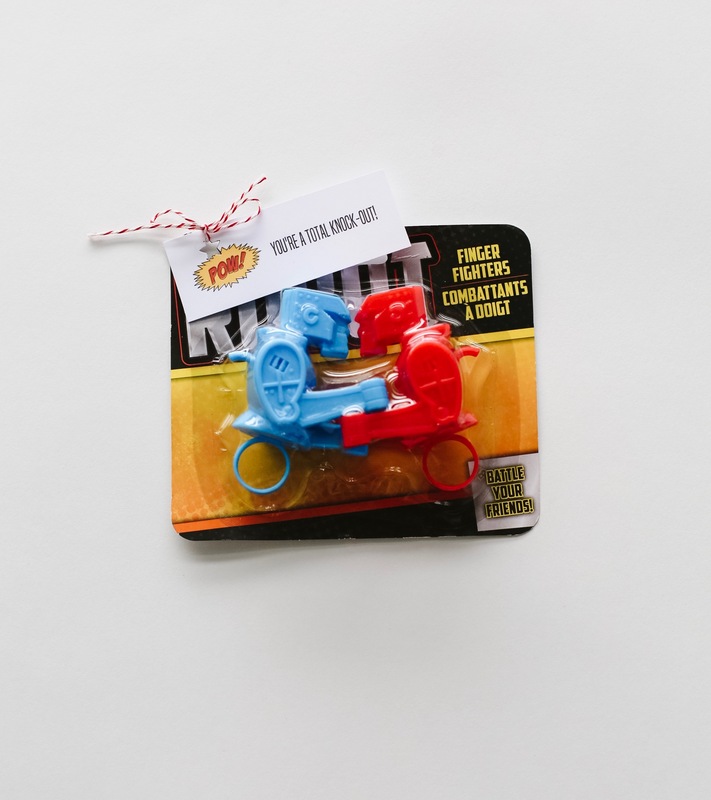 These are Dollar Tree “Finger Fighters” and I didn’t want to unpackaged them because it helps illustrate what they actually do, so I opted for a tag. 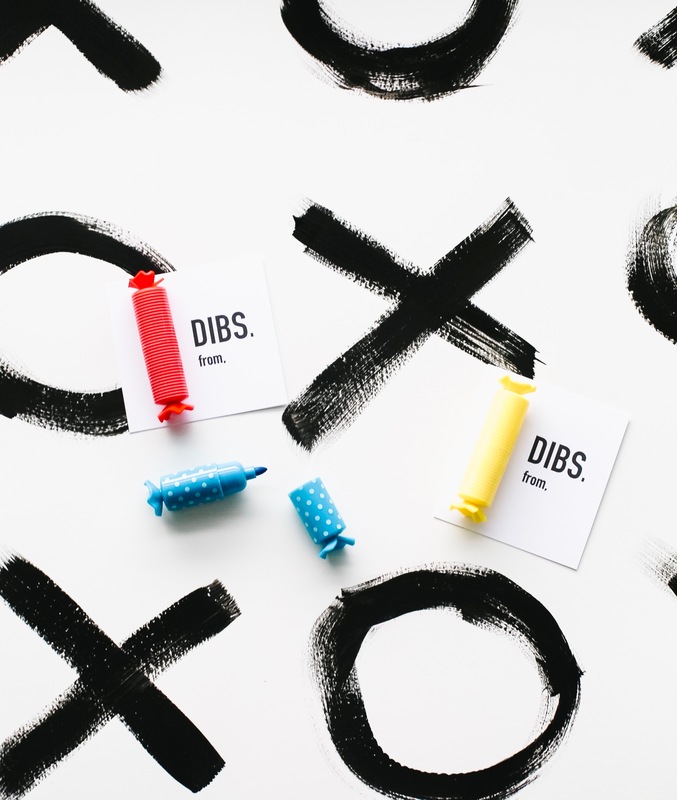 You could staple, tape, or glue dot these right on! Hayes chose this toy to give out to his school friends! // Buy them by the case here or individually in store! OUT OF THIS WORLD! This one was Cal’s pick! Dollar Tree has the by the buckets full! Buy online in packs here! 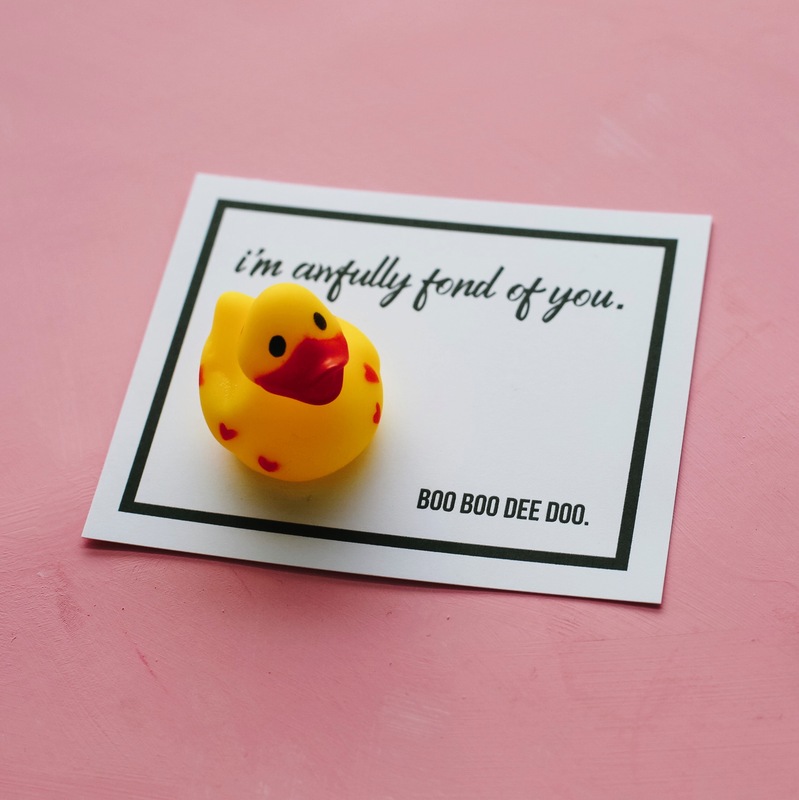 DOWNLOAD THE PRINTABLES BELOW! If you use these I’d love to see! 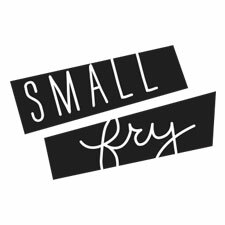 We have our #smallfryDIY hash tag that I live for! Hello! 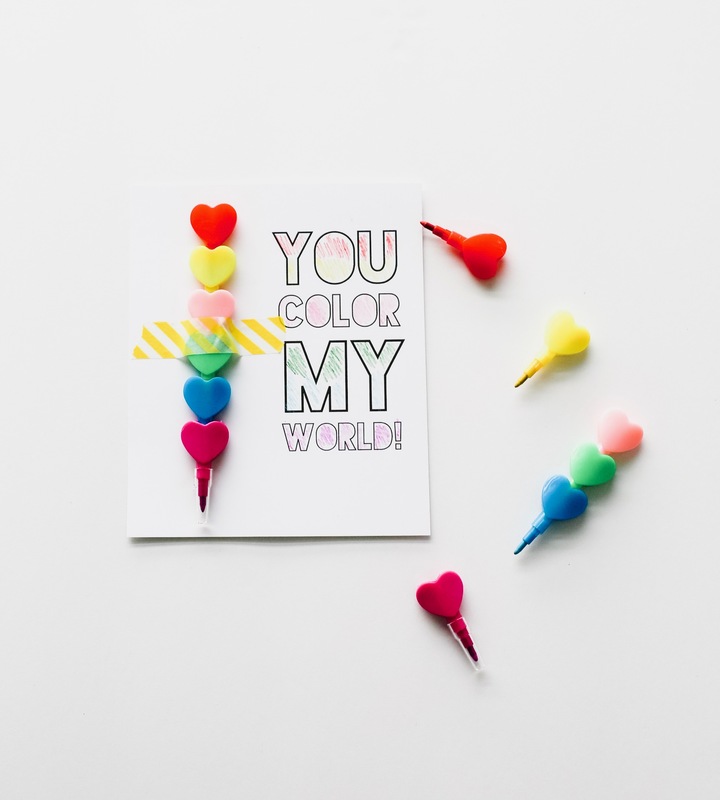 These valentines are so great – and my daughter really wants to use the color my world version. I’m sorry to be a pain but would you have a version with crop marks for cutting?